If you drive to a station with one or more passengers and your station offers carpool parking, then you can apply for a free carpool parking permit. The permit lets you park in a carpool parking space at your station, before 9:30 a.m., Monday to Friday, excluding holidays. You may park only one vehicle in a carpool parking space at any one time. No new carpool applications are being accepted for Aurora and Maple GO Stations at this time as a result of a large waiting list. See if your station offers carpool parking. Apply for a free carpool parking permit. Once you have a carpool parking permit, here’s how to use it. You are not guaranteed a carpool parking space. The spaces are available on a first-come, first-served basis, before 9:30 a.m.
You only can park in a carpool parking space before 9:30 a.m. (Monday to Friday, excluding holidays) and on the days which you carpool—when you drive with one or more passengers. You must hang a carpool tag in your vehicle to use a carpool parking space. One tag will be issued for each vehicle in your carpool. If you park in a carpool parking space before 9:30 a.m. without a carpool parking permit or without at least one passenger, your vehicle may be ticketed or towed. If you see someone else parking in a carpool parking space before 9:30 a.m. without a permit or without at least one passenger, call Transit Safety Dispatch at 1-877-297-0642. 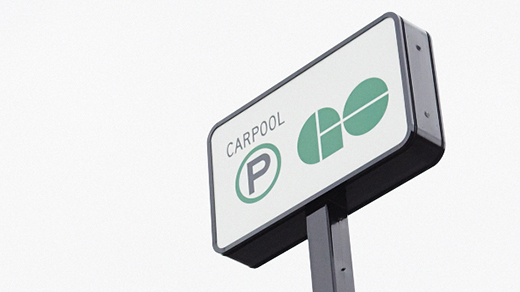 You can change the details of your carpool parking contract at any time, by simply sending an email to carpoolparking@gotransit.com. Including updates to your mailing/email address, vehicle license plate(s), request a replacement for a lost permit etc.